He’s nestled in a small cove of a stage out back of a taco bar in South Congress, Austin. Just in front, a crescent huddle of fans sit cross-legged on wood-chip-flecked decking, like they’re waiting for a story. He has a new song to sing. But he has something to say first. Over the next minute or so, he haltingly points out that while he loves this state, and this country (and has a Texas tattoo), he’s got something to say that not everyone will like. And then he’s whirling into ‘Make America Great Again’, a jagged track that directly tackles some of the oozing hatred seeping up across the country. An enormous roar soars up from the audience, like the first breath of a surfacing swimmer. And in that moment, it doesn’t feel that controversial. 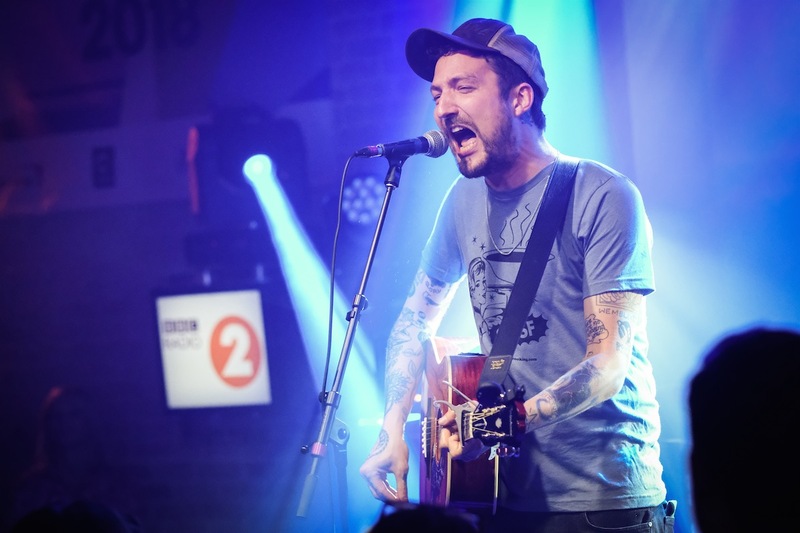 Frank Turner's doing a quick April sweep of the UK before heading off to the US again at the end of May. That tour coincides with the release of his seventh studio album, which lands on May 4th. With ‘Be More Kind’, the former Million Dead singer is dipping his toe back into political songwriting in the era of Brexit and MAGA. But at the same time, he’s pushing a less strident political message; calling for a bit more listening and a little less punching. That’s the takeaway of the title track, a light folky plea that features the line: “In a world that’s decided that it’s going to lose its mind, be more kind.” But this isn’t just Frank Turner sitting on the sidelines calling for calm and offering rounds of sandwiches. “One of my concerns about the record - and the way people are interpreting it - is that it’s not that I don’t have any opinions,” he says. Despite being a self-confessed history and politics “geek”, it’s been a while since Frank Turner has been this overtly political in his music. And in fact, he was on the verge of releasing a different type of album before all this went down. It’s hard not to wonder if part of Frank’s reluctance to tackle politics is partly due to his personal firestorm of 2012, in which he was savaged in the Guardian for his comments on socialism, the BNP and the European Union. Sensing the question in the air, he attacks it head on. Which brings us here, to a record that tackles racism and Nazism while positing the idea that debate and empathy are healthy. It’s not a peaceful record, and at times it’s pretty angry. But - Frank observes - it’s not an album that has no room for doubt. “I don’t think doubt can be part of a Rage Against The Machine record, or a Billy Bragg or Anti-Flag record. And these are all people I love and respect,” he says. This self-reflection has even extended to his perspective on his career. Traditionally known as a relentless touring artist, he took a break after his last record...and actually says he “loved it”. 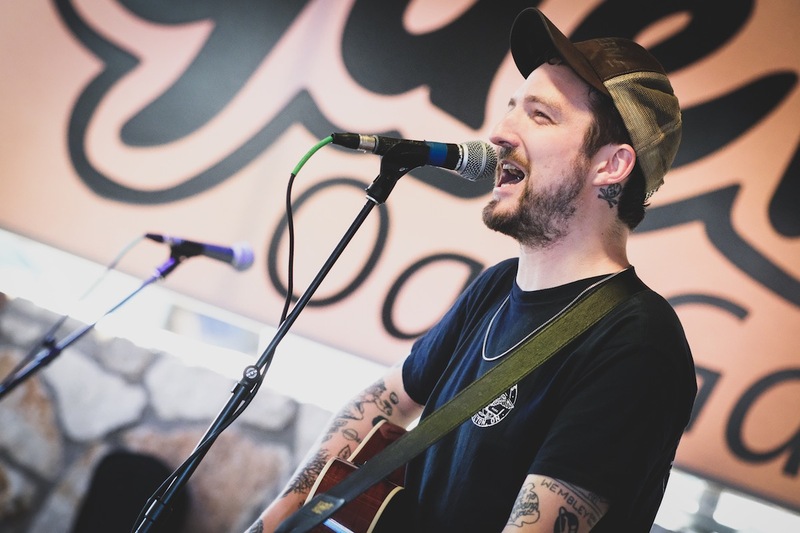 Frank Turner's new album ‘Be More Kind’ will be released on May 4 by Xtra Mile Recordings. He is currently touring the UK in April and May, before heading on a US tour.